Patrick has been in the commercial real estate industry since 2007. He began his career in a valuation & consulting role with Integra Realty Resources. Patrick has conducted valuations, market and feasibility studies on a wide variety of commercial property types, including retail, industrial, office, and multifamily. Patrick has also conducted valuations on more esoteric asset classes including section 8/low-income housing multifamily, cold storage warehouses, marinas as well as seniors housing and other medical-related facilities. After completing his graduate studies at Cornell University, Patrick joined The Ackman-Ziff Real Estate Group in 2012. 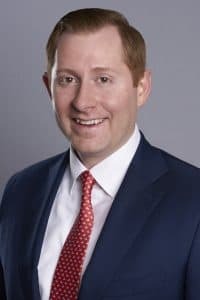 During his tenure at Ackman-Ziff, he was responsible for all aspects of the underwriting process, structuring, and placement of debt, mezzanine and equity opportunities for a broad range of commercial real estate assets. Patrick was part of the deal-team that won the Real Estate Board of New York’s “Most Ingenious Deal of the Year” award (2015 award recipient) for the construction financing of a single-tenant, medical office building in East New York, NY. Patrick holds a Bachelor’s degree in Real Estate Finance from the University of North Texas and a Master’s degree in International Real Estate Finance from Cornell University. Patrick is also a CFA Charter-Holder and a Level II Candidate in the CAIA Program. Patrick has a strong focus in healthcare-related real estate and has been a contributory author for “Healthcare REIT’s and Their Operator Partnerships”, which was published in Cornell University’s 2015 Real Estate Review. In 2018, Patrick organized the 4th Annual Real Estate Outlook Event at CFA Society New York which focused on niche and emerging real estate asset classes, including senior housing, medical office, data centers and parking garages.